Avda. Cas Saboners, 28, 07181 Palmanova, Spanje. 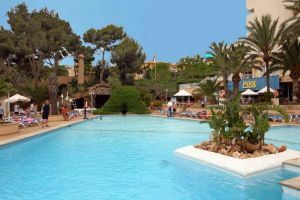 Mimosa park is a firm favourite with British guests and in a good spot in Palma Nova, just 500 metres from the beach and a little further away to the busy nightlife of Magaluf. At Mimosa Park hotel customers will be able to enjoy a vacation of relax and entertainment. 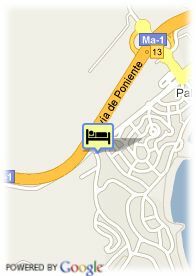 Recommended for adults, although not suitable for people with walking difficulties.The hotel informs that pets are not admited. The Honolulu sits on the hill dividing Palma Nova and Magaluf, with spectacular views across the bay.